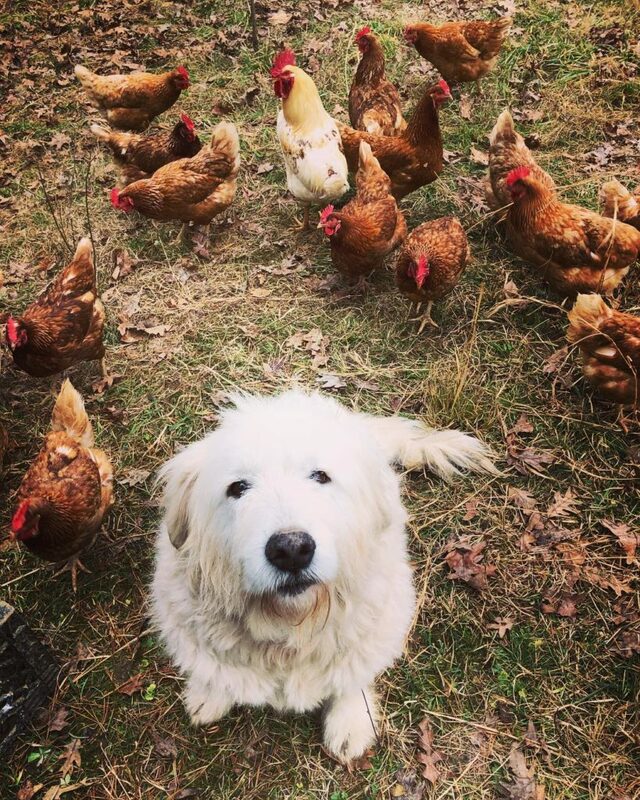 Cupcake, our livestock guardian dog, has a full time job guarding the laying hens keeping the safe from foxes, coyotes, owls, raccoons and more! 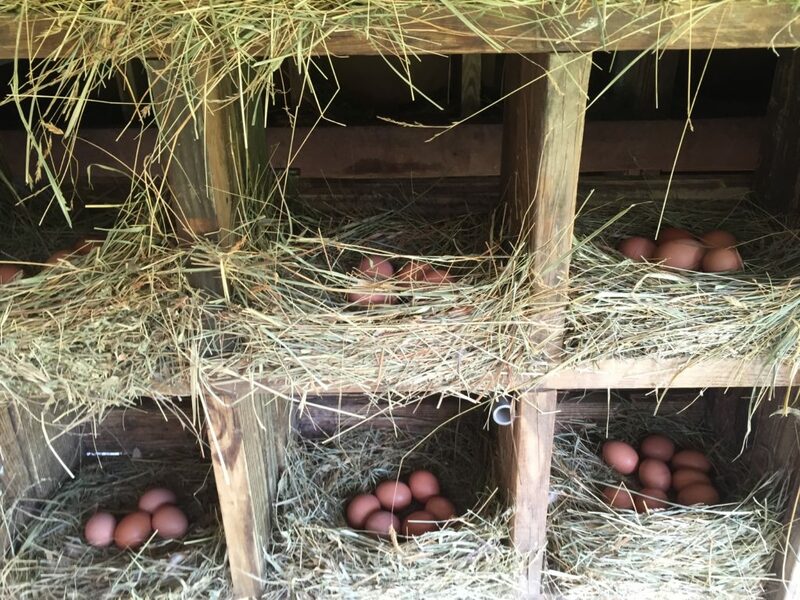 Pastured egg production is a major part of our farm. 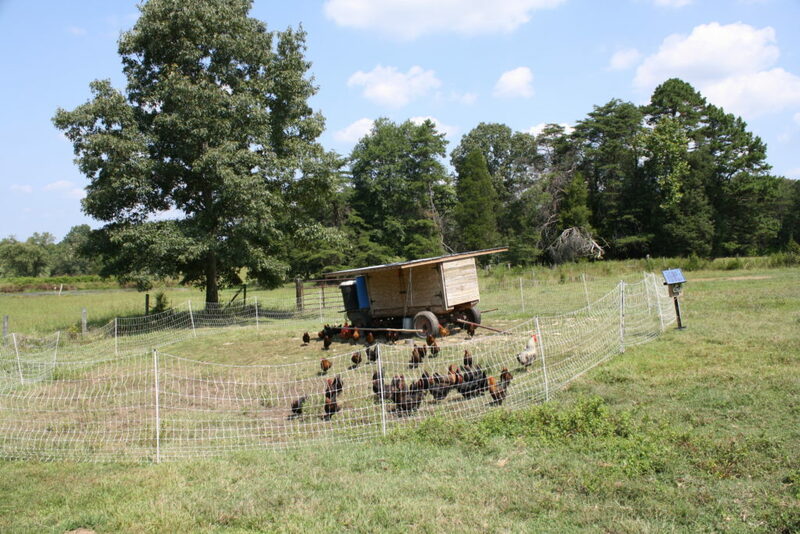 It takes a lot of time, energy and fortitude to properly raise pastured chickens. Each day the chickens need to be checked on first thing in the morning. We need to make sure they have fresh water, feed, clean and hay filled nest boxes and that they are on fresh grass at all times (this means moving them at least once a week). Later in the day, we collect eggs and often supplement them with fresh greens and vegetables scraps from around the farm or the greenhouses. Then all the eggs collected need washed and packaged. Looking at the profit and loss statement for our farm always makes us question whether egg production is a worth while component of our farming. 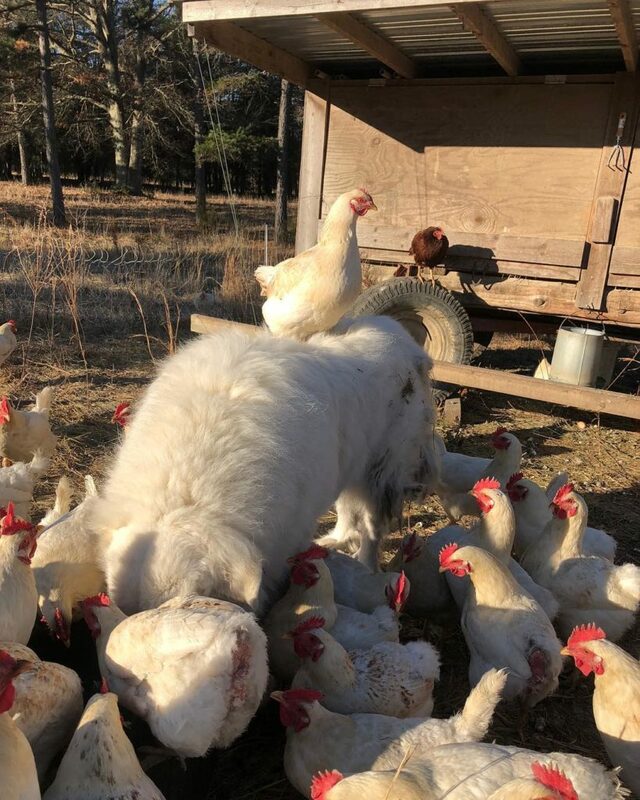 When you factor in the labor and effort of properly pasture raising chickens for egg production, it certainly does not seem worth it on paper. 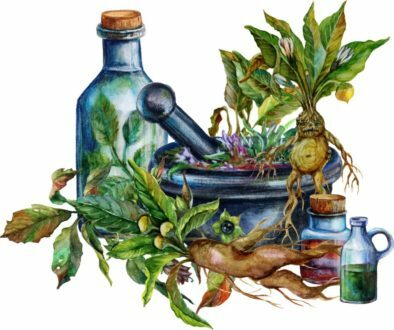 However, a sustainable farmer needs to consider all of the aspect of their farm. 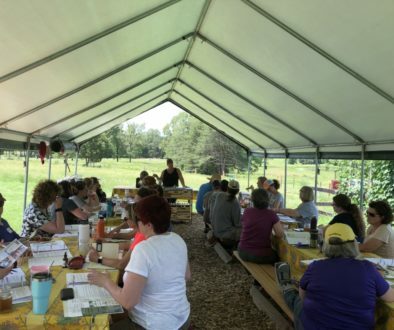 Pasture raising chickens is part of the bigger picture of how we holistically manage the soil and pastures on our farm. 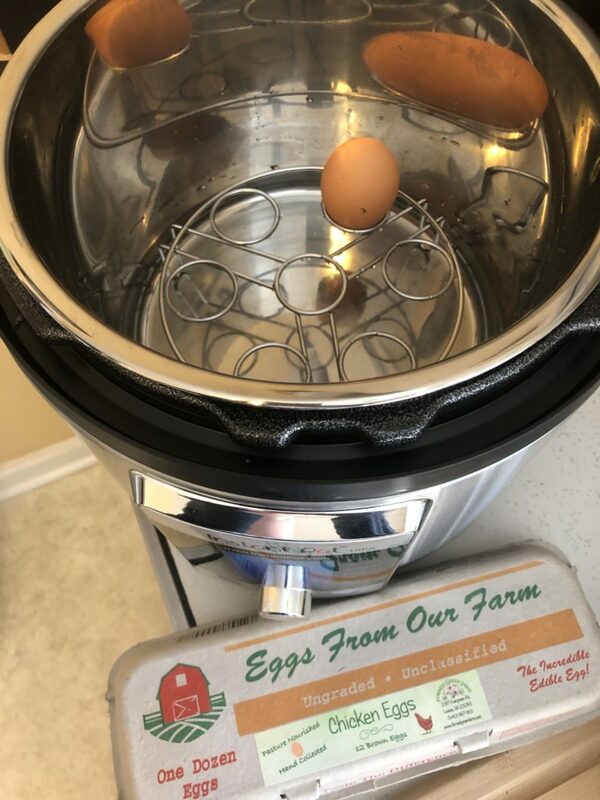 It also supplies our family, local chefs and our local community with a quality of egg and nutrition that just can’t be found in a store bought eggs. So each year we trudge on and appreciate what these chickens and eggs offer in our lives. Our laying chickens are raised on our farm from the time they are two-day-old chicks without medications or antibiotics. 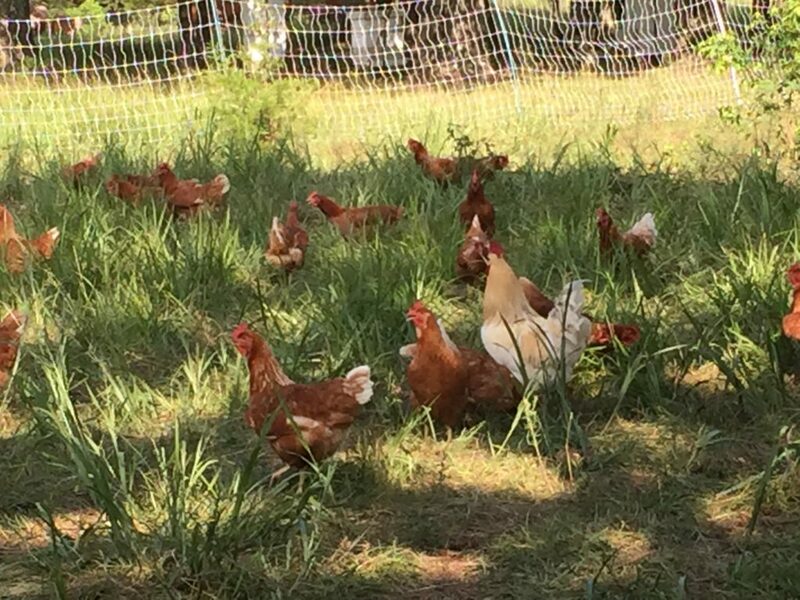 Our chickens are raised on our pastures incorporated into our holistic farm Intensive Grazing program. Here they are able to feed on fresh grass and insects. Rob has designed and built portable laying houses for the chickens that we move throughout our pastures. 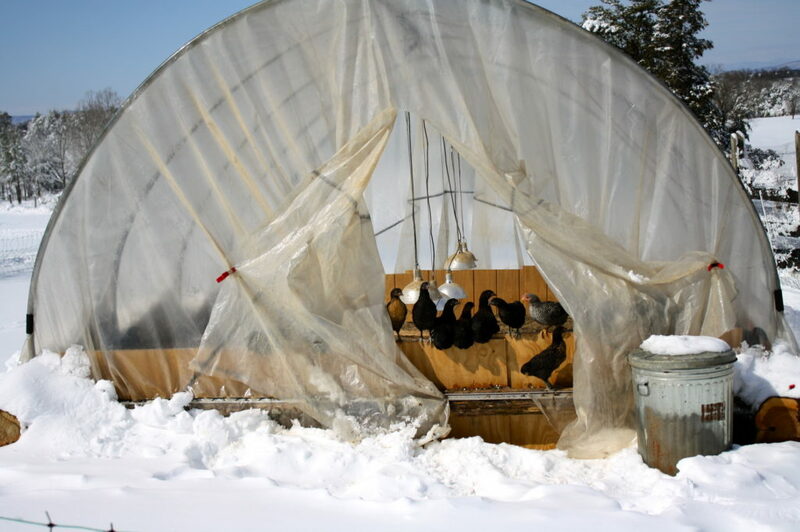 For the winter months, he built a specially designed portable greenhouse structure that can be moved along with the laying houses. 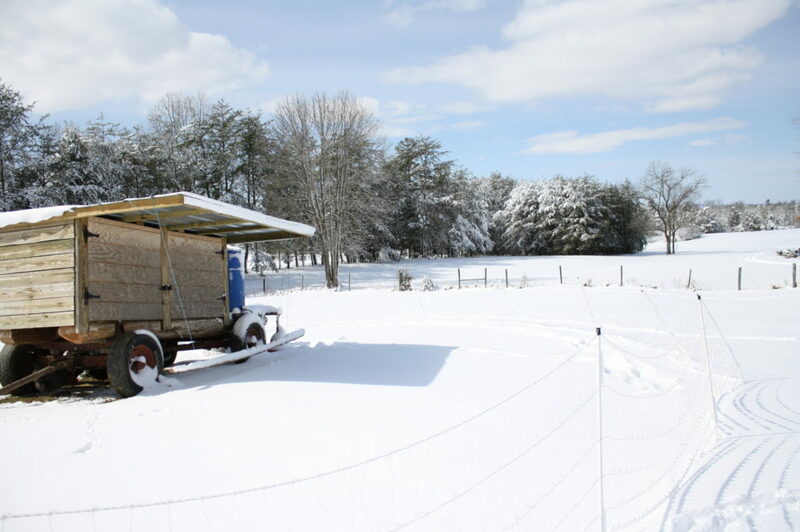 This portable greenhouse provides exceptional warmth during the day, shelter from the winter elements and a place to feed the chickens our own pasture hay bales when there is no fresh grass available in the winter. 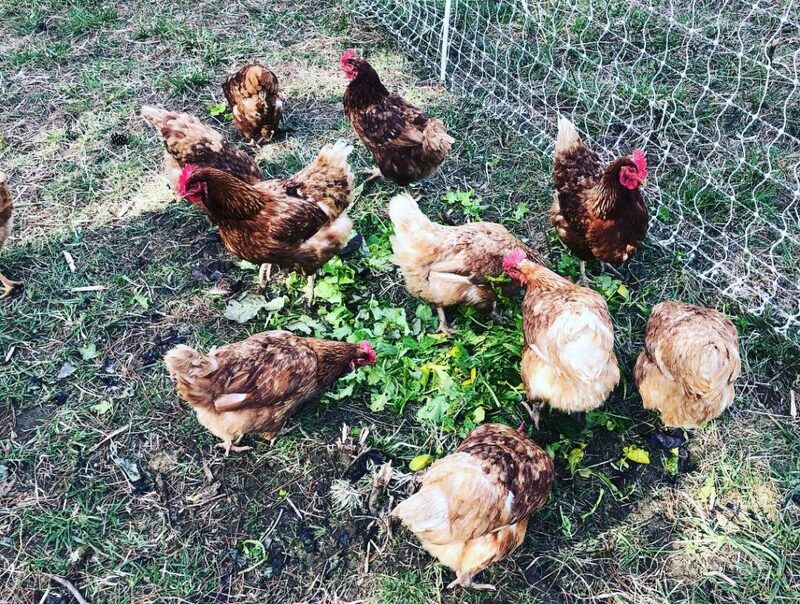 All our chickens are also supplemented with locally milled non-GMO feed, fresh greens, vegetables and herbs from our gardens and greenhouses. 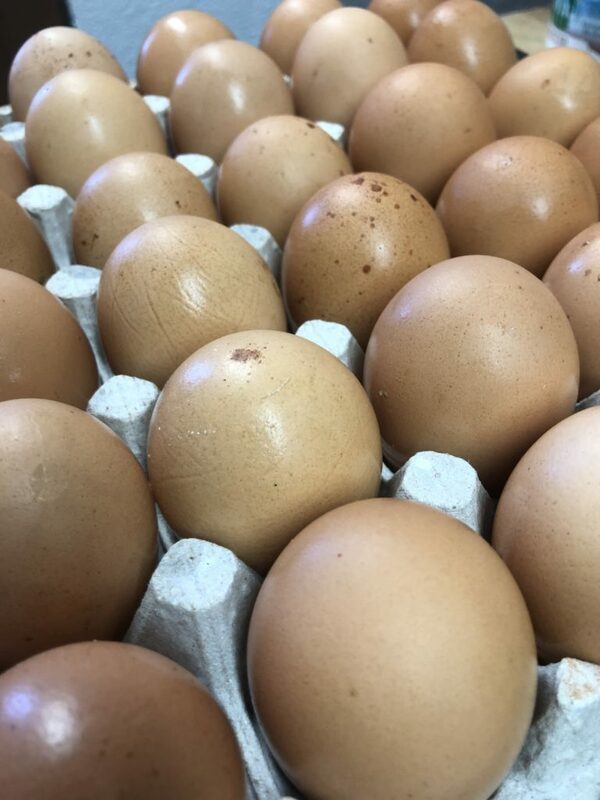 Our laying hens are not just “free range”, “cage free”, “fresh farm eggs” and definitely not “vegetarian only fed” like many of the store bought egg cartons claim. 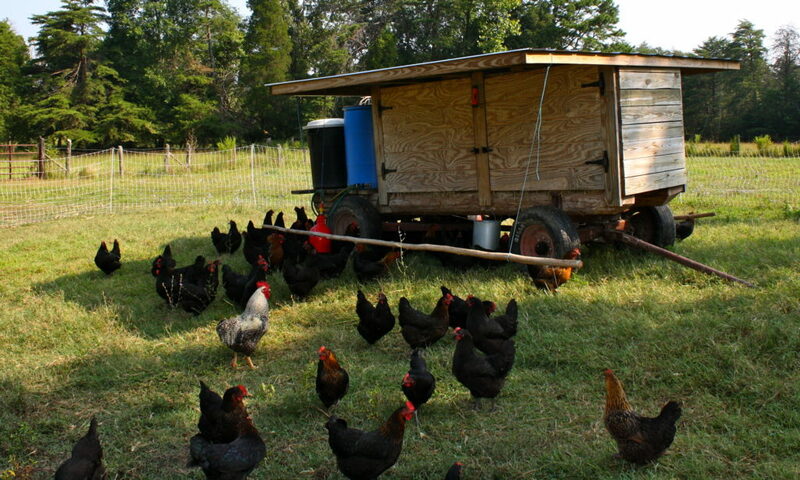 Our chickens are truly pasture raised in nature! Local pasture raised eggs produced properly on a small scale surpass almost any store bought egg you can find in richness, yolk color, and taste. 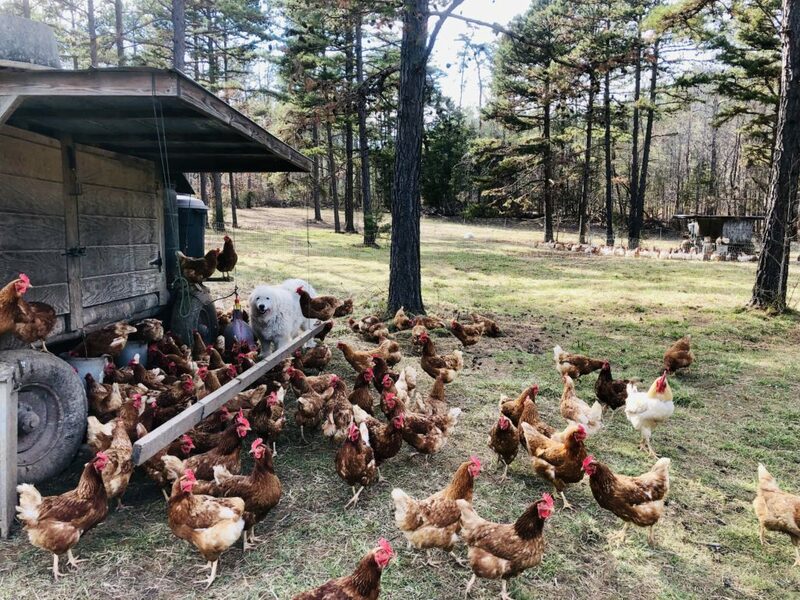 Forrest Green Farm’s chickens are truly pasture raised with their shelter, food and water moved along with them. This allows the chickens to be out in the open gaining the benefits of the sun and what nature has to offer them. This is where our eggs get their rich nutrients from. Many studies have shown that pasture raised chicken eggs are higher in vitamin E, beta-carotene, Omega 3’s, and lower in cholesterol than the standard USDA factory farmed chicken eggs. According to multiple studies and research including a 2007 study by Mother Earth News these are the benefits of pasture raised eggs. This chart is from whfoods.org. As you can see the nutrients are evenly distributed throughout the entire egg. This is why you shouldn’t just eat egg whites or egg yolks, both contain a needed healthy balance of vitamins and nutrients for your body. 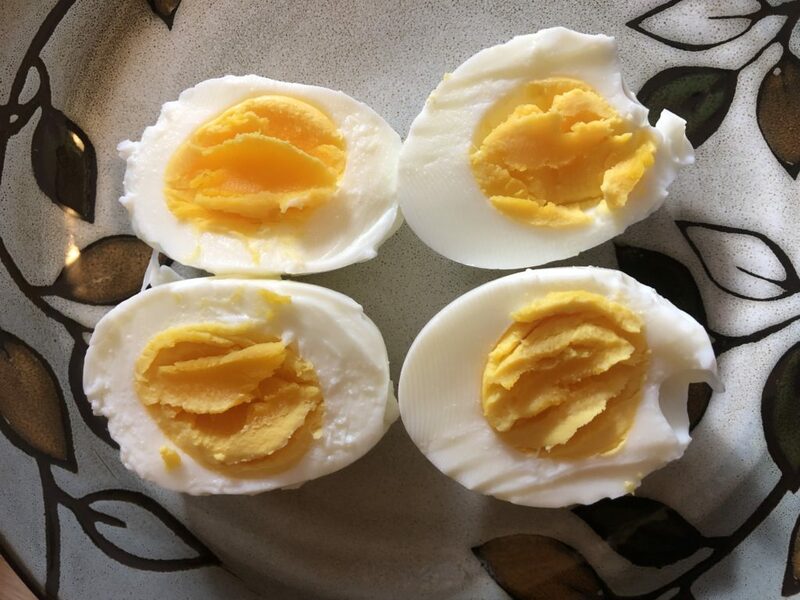 Why are fresh hard boiled eggs so hard to peel? 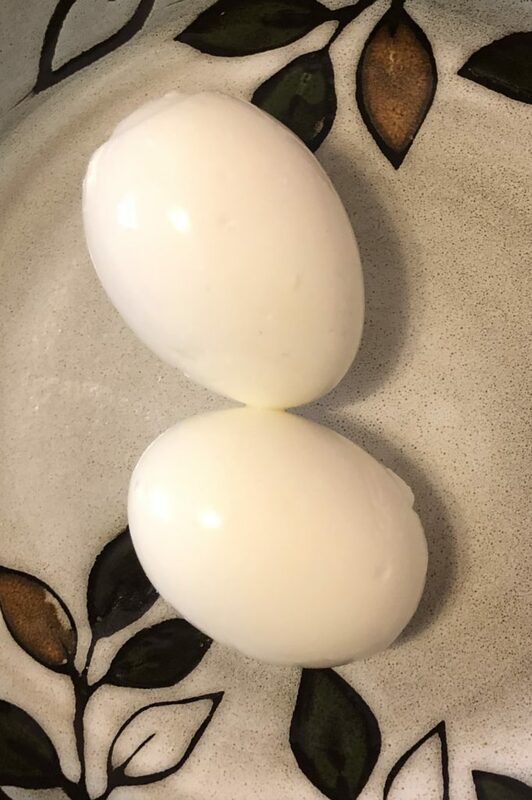 In fresh eggs, the albumen (egg white) sticks to the inner shell membrane because the egg is not very acidic. As the egg gets older the acidic levels in the the egg rise because the egg shell becomes more porous and releases more carbon dioxide. The more acidic environment makes the albumen sticks to the shell less. 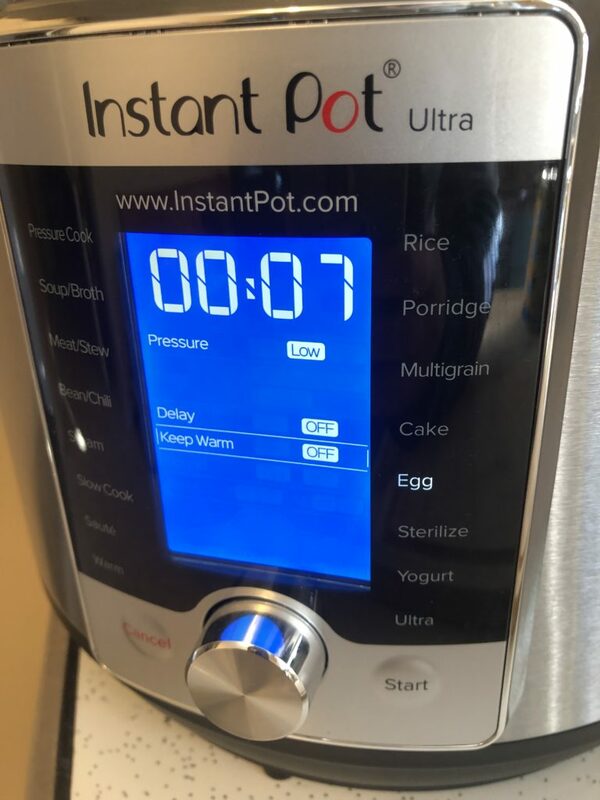 Therefore, as the egg gets older the albumen shrinks making the egg easier to peel. 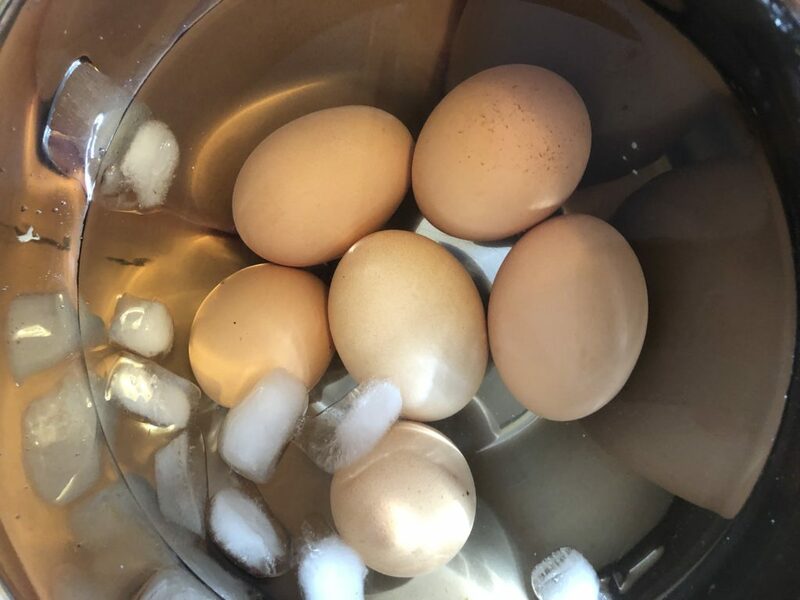 One thing to think about is that if your eggs are easy to peel then it could be an indication of older eggs. 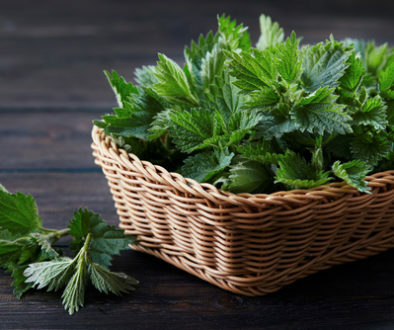 As we well know, fresh local foods most often contain the best nutrients and taste. Fresh is best! 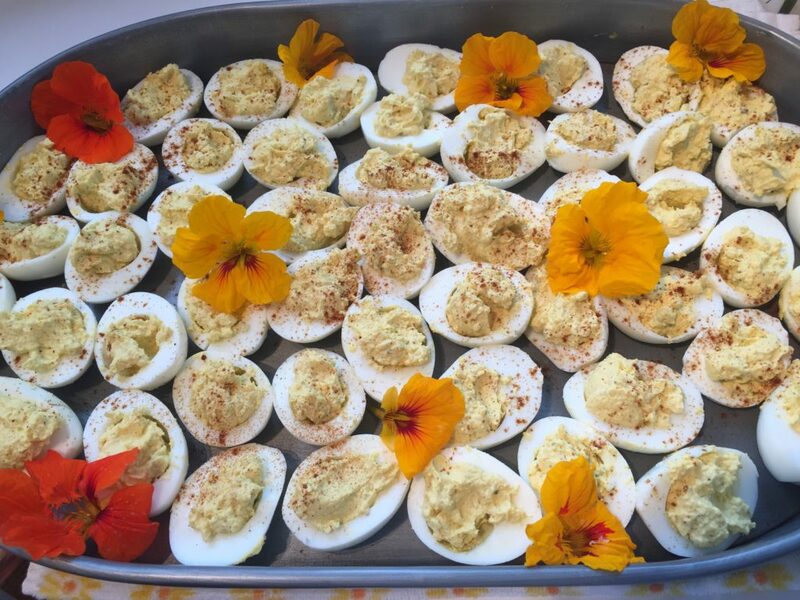 Two recipes for easy and delicious hard boiled eggs! People often say I can get a dozen eggs at Walmart for dirt cheap because that fits into my budget. What they need to consider is a look at the bigger picture of how much nutrition and the long-term health benefits come from properly raised eggs. 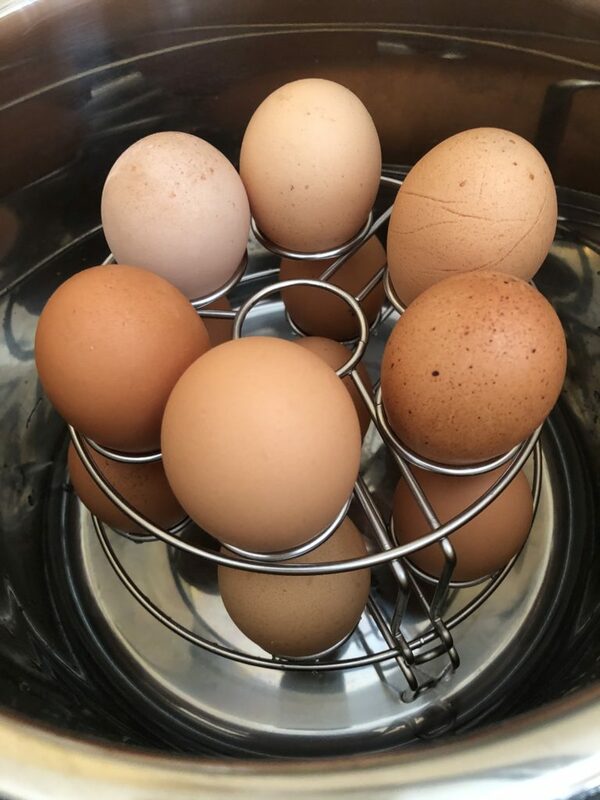 For the cost of your daily latte, you can buy a dozen eggs from us that can be used in multiple meals, enhance your health, support the raising of happy and healthy hens and contribute to building a strong local economy. 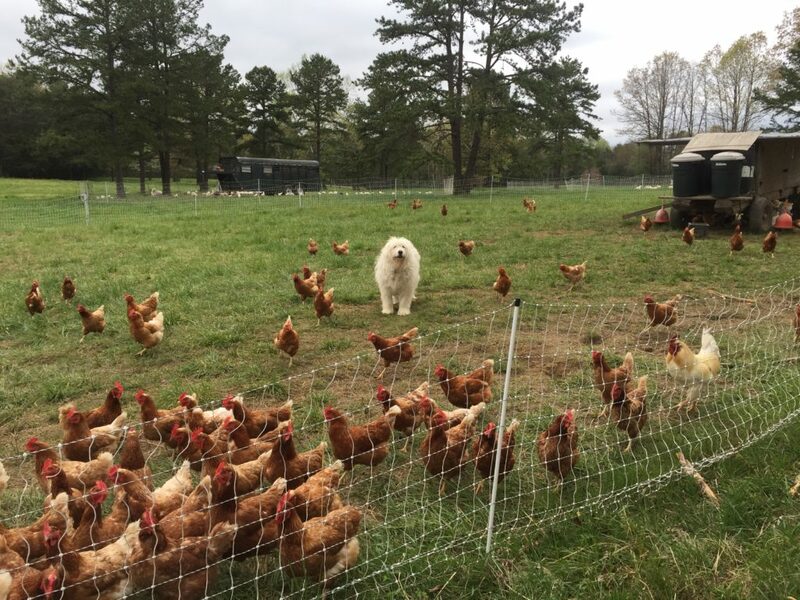 Our pasture raised eggs are available at Forrest Green Farm’s Market on the Farm, Thurs-Sun 9am-5pm, Local Roots and used in cooking at local restaurants in Charlottesville including Lampo Neapolitan Pizzeria, Quality Pie, and Mas Tapas.